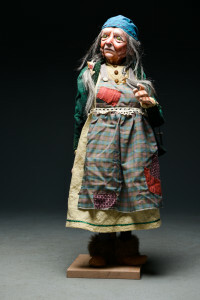 The art of puppetry is to capture the essence of the human spirit through theatrical storytelling, where the artist and object become one through performance art, theater and a touch of magic. 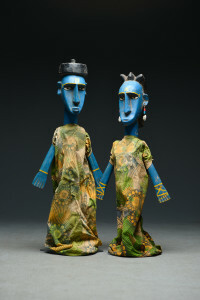 One of the oldest forms of theater in the world, this exhibition based upon a 5,000 year old tradition will unleash your imagination by exploring international cultures from a world-class international private collection and contemporary puppet craft by Florida artists. Take a trip around the globe through the Pellone/ Barrett Puppet Collection, touching on puppet pioneers and the major forms of puppetry, such as hand and rod puppets from Europe, intricate shadow puppets, water puppets and elaborate masks from all over Asia, marionettes from Sicily to Nepal, folk art puppets from Mexico to Africa used for sacred ceremonies and life celebrations, to the sheer entertainment of Punch and Judy. 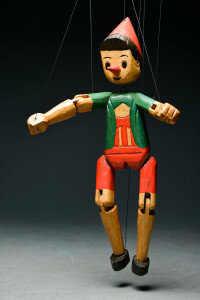 More than 30 puppets are on display with programs including gallery talks on the history of puppetry with collector Greg Pellone and puppet performances and workshops. 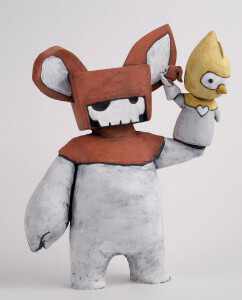 Also featured, ten contemporary Florida artists master the art of storytelling through puppets, whirligigs and stage sets, featuring newly created works by: Jennifer Kosharek, Denis Gaston, Simon Boses, Coralette Damme, DemiGod, Calan Ree, Daniel Mrgan, Kumpa Tawornprom, Catherine Bergmann and Michael Anzures. Also included, are puppets made by collector Greg Pellone that draw inspiration from paintings by the late artist and St. Petersburg Times illustrator, Jack Barrett. Programming: All programming is free and open to the public. Please let us know you are planning to come so we reserve a seat for you. Call 727-821-7391 (M-S 10-5:30) or email info@floridacraftart.org. Meet at Florida CraftArt Gallery, 501 Central Ave., St. Petersburg. Collector and puppeteer Greg Pellone will delight audiences with tales of the puppets he has collected around the world. Then settle in for a fun show of the classic Punch and Judy puppets. Join hero Robin Hood and puppeteer Jerry Bickel on an adventure with a band of merry marionettes. Robin looks out for the children of Nottingham while the King is away. He takes from the rich, gives to the poor, and fights for justice. Excitement and adventure rules when Robin Hood uses his bow and arrow to save sweet Maid Marion. Be a Puppeteer! 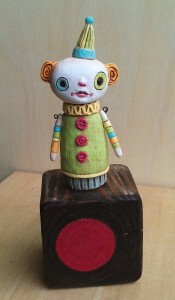 Make a puppet and perform in a show. Use fabric, feathers, sequins and imagination to bring your character to life. Ms. Holli Rubin, Bits ‘N Pieces’ puppet builder, helps you build your puppet, rehearse your part, learn your moves and star in the show. All materials included.